It’s International Coastal Cleanup Time! Every year, volunteers from around the world participate in a cleanup that clears beaches and waterways of debris while recording data that contributes to knowledge of types of debris affecting our waterways and what needs to be done about it. 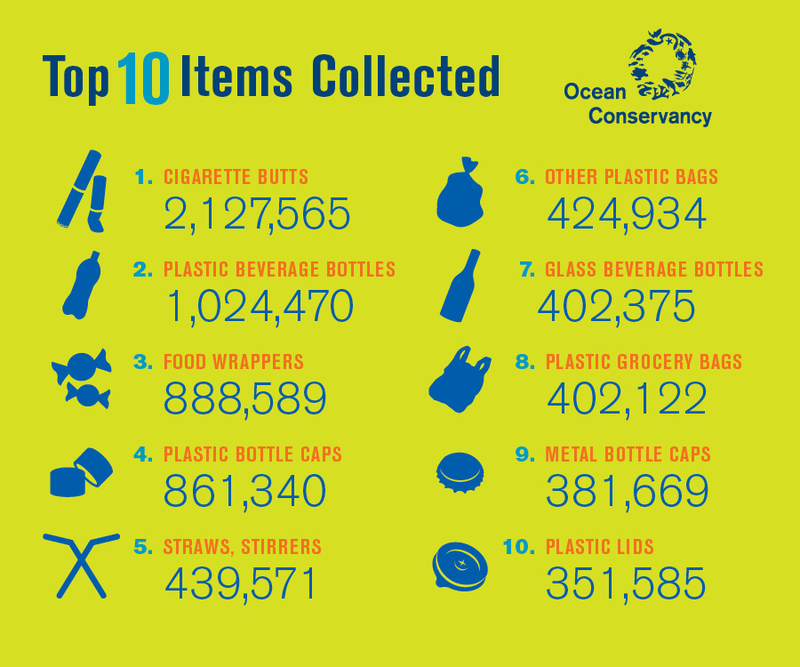 The Ocean Conservancy has been leading the International Coastal Cleanup (ICC) for almost 30 years and each year compiles a “Top 10 List” of debris items found during the cleanup. Clean Virginia Waterways manages these cleanups in Virginia, which can occur anytime in September and October. You can see the Top Ten List from both Virginia and the ICC below. You will notice that most of the items on both lists are plastic and food related. So I challenge you, pick one of those items that you are still using, and REFUSE and/or REDUCE significantly. REFUSE plastic bottles, plastic bags, disposable coffee cups with plastic lids. Buy snacks in bulk then pack them in reusable snack bags instead of the smaller snack bags and packs. Even if you are not intentionally littering, it is not uncommon for these items to accidentally end up in the environment, so best not to use them at all. 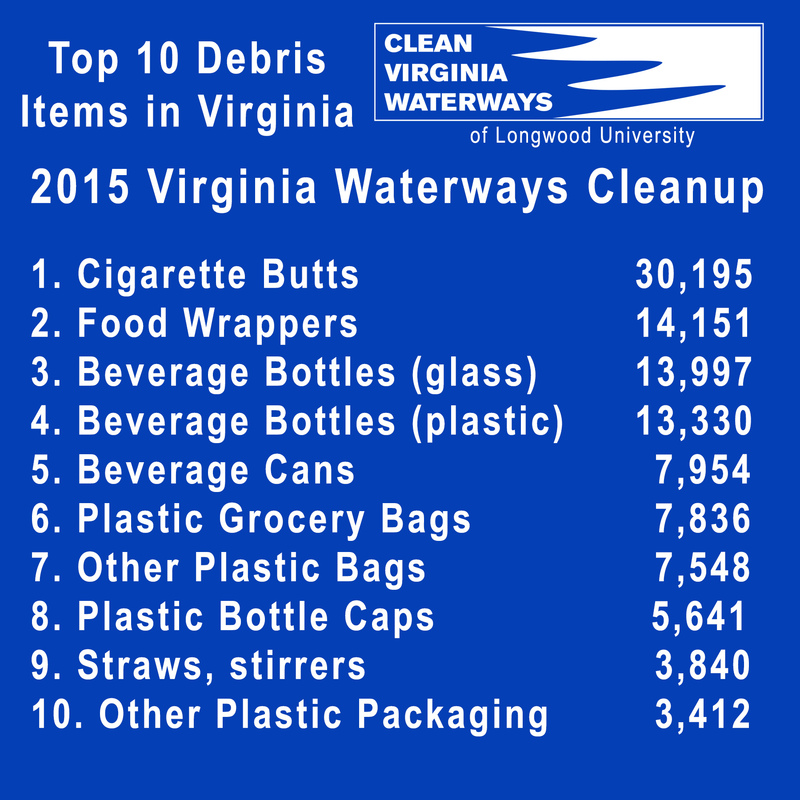 As for the cleanup itself, I encourage you to check out Clean Virginia Waterways’ website for upcoming cleanups, or the Virginia Waterways Cleanup – Hampton Roads Facebook event page, or come to any and all of our cleanups.